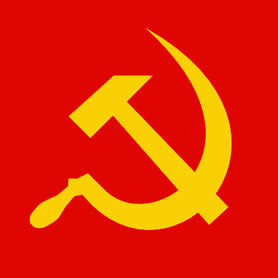 DAVAO CITY, Philippines (Mindanao Examiner / Feb. 11, 2011) – Philippine communist rebels on Friday accused government troops of exploiting a pregnant minor and passed her off as a young fighter who supposedly surrendered to the military in Mindanao. Homer Sandejas, a spokesman for the New People’s Army, said the military even claimed that the young girl is a granddaughter of a senior rebel leader Leoncio Pitao whose is also known by his nom de guerre as Ka Parago. “As the 10th Infantry Division finds itself at the receiving end of a series of defeats in the field and disgust from its ranks arising from the plunder of AFP funds by corrupt generals, it has vigorously pursued media gimmicks that are not only outlandish but also shameless,” he said. AFP refers to the Armed Forces of the Philippines whose former generals had been accused of corruption. Sandejas denied the minor was a member of the rebel group or a relative of Pitao. “The Front 25 Operations Command of the New People’s Army categorically denies having in its ranks the pregnant minor as the military claimed and also declares that the said teenager is not a granddaughter of Ka Parago,” he said. He also urged independent groups and children institutions to investigate the real identity of the girl and file charges against the military for exploiting the minor. “Independent groups and children institutions should investigate and verify the identity of this teenager and should work for her release as she continues to be used and abused by the fascist 25th Infantry Battalion and assets in the reactionary local government,” Sandejas said. Asset is a military slang for spy. “The NPA does not recruit and arm minors as it strictly follows the CPP (Communist Party of the Philippines) Memorandum on the Minimum Age Requirement for New People’s Army fighters, a memorandum which hews closely to the tenets of Protocol I of the Geneva Conventions. In fact, it is the bankrupt AFP that has carried out the recruitment of minors for combat duty, like in the detachments of Paquibato District in Davao City (in Mindanao) and as seen in last year's capture of a 17-year-old Cafgu (government militia) member in Monkayo (town) in Compostela Valley province,” Sandejas said. “The toiling masses knew better - that people rarely trust anything that comes from bankrupt war machinery whose generals are busy plundering the people's money - while its soldiers in the field are implementing the most brutal campaigns of suppression against the people,” he added.